I mbliana, ghacamar páirt sa Peace Proms san INEC i gCill Áirne. Bhíomar ag canadh le páistí ó scoileanna eile. Bhí an ceol fhoireann, Cross Border Orchestra, ag seinm chomh maith! Bhí sé dochreidte. Bhaineamar an taitneamh as an eispéaras. Tá súil againn gur bhain sibh taitneamh as an seó! 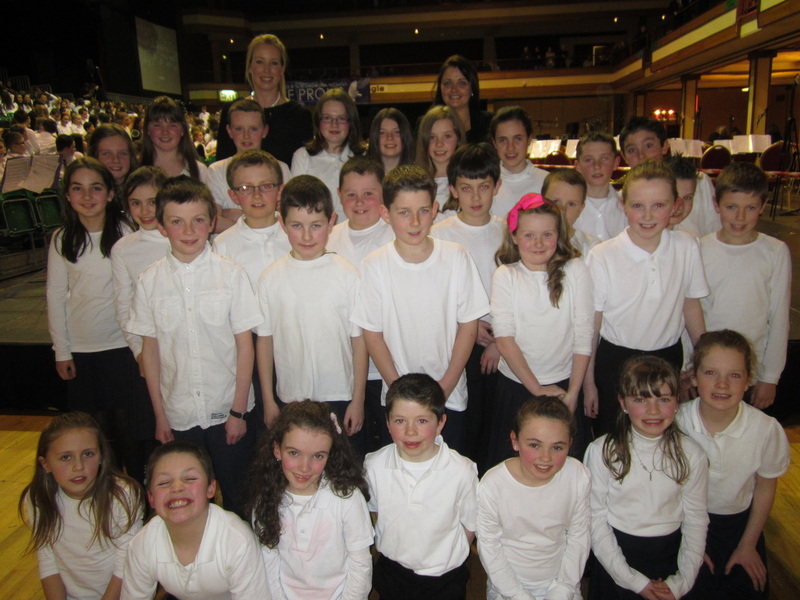 This year we took part in the Peace Proms Conert in the INEC in Killarney. We sang songs with lots of pupils from other schools. The Cross Border Orchestra accompanied us. It was an unbelievable experience - that we thoroughly enjoyed...we hope you enjoyed the show too! !